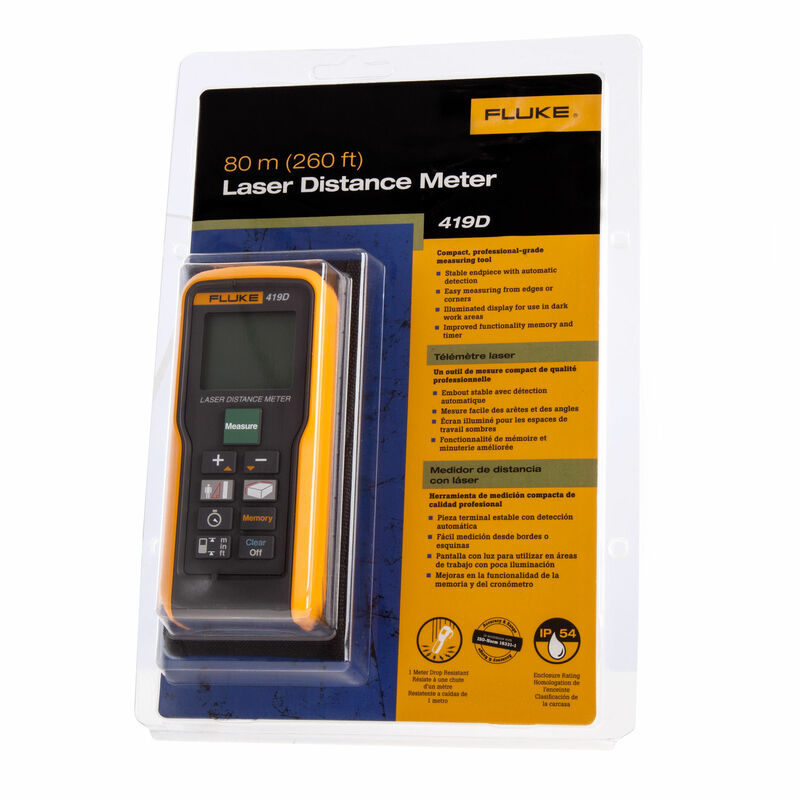 The Fluke 419D Professional-Grade Laser Distance Meter extends your reach to 80 meters (260 feet) with even greater accuracy. 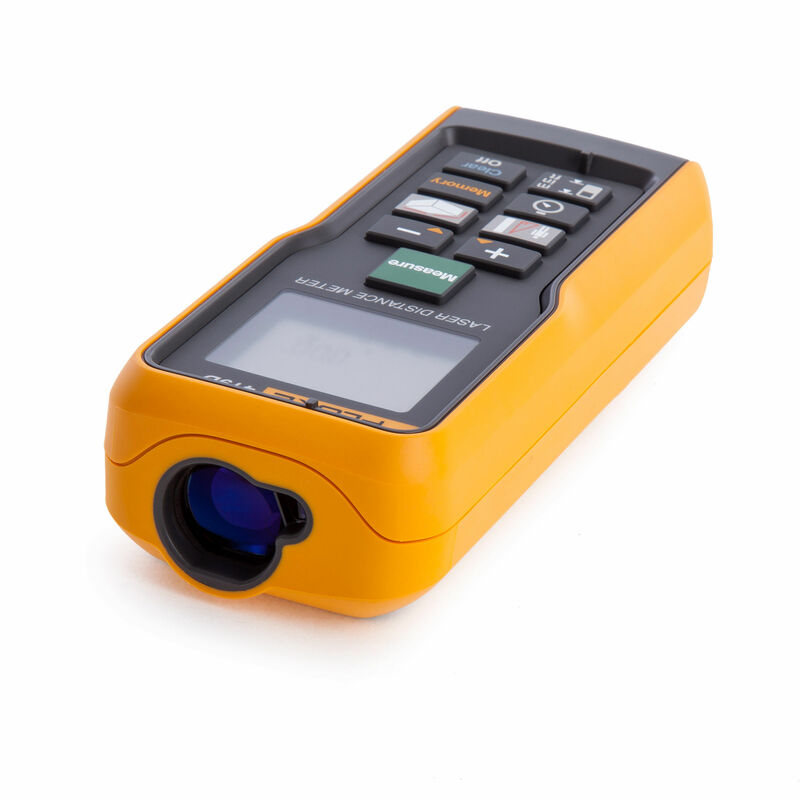 It has a stable endpiece with automatic detection making measuring from corners or edges easy. 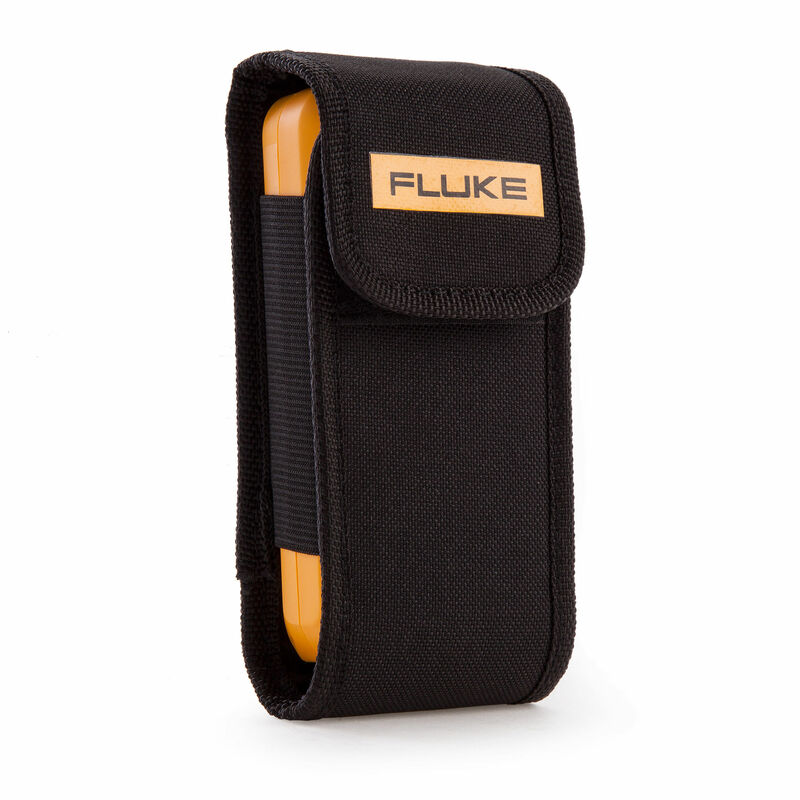 Features an illuminated display for working in dark areas. It saves you time and reduces errors with enhanced features like storage for 20 complete displays and a tripod mode for stable, long-distance measurements. Automated End-piece Correction for measuring from an edge or corner, a built-in sensor detects the position of this bracket and automatically changes the reference point. Improved battery life of 5000 measurements with auto laser off and auto power off features.